It’s the most wonderful time of the year. But wait a minute, it can also be a super stressful and busy time. Between finding the right gift for everyone on your list, planning for the crush of holiday travel, and trying to manage a growing list of get-togethers, life can feel unmanageable this time of year. And if you’re hosting a holiday party? That stress just seems to magnify. If you’re in that latter category, you might be so relieved and/or still stressed once you’ve settled on the guest list and narrowed down the menu for your party that you completely forget about the gathering’s ambience. But a proper setting is the difference between your friends, family, and coworkers saying “nice party” and “wow, this was amazing. Thank you for inviting me!” The right lighting, scents, table decor, and personalized touches are all you need to enter the realm of hostess with the mostess. Whether you’re a hosting pro or this is your first time entertaining, the tips below are sure to elevate your holiday gathering. Many of the suggestions don’t require heavy lifting on your part and are wallet-friendly, but are sure to pack a major impact. Your guests will undoubtedly feel special and welcome. Interior designer Sarah Noncek of Lettuce Entertain You says the right lighting is key to a great soirée. “Everyone looks and, more importantly, feels better and more comfortable in a room with proper lighting,” she tells HelloGiggles. She suggests experimenting with different floor and table lamps to find the right combo. This can simply mean moving lamps from other areas in the house into your party space. She also suggests avoiding harsh halogen and LED lights by replacing them with warm-tone bulbs. And who can forget twinkle lights? You can find them for a few bucks or even buy string lights in a mason jar for some mood lighting. Now that the table is set, guests will need to find their seats. You could have a simple name card, but why not amp it up even more? Ann Travis of Bash Event Planning & Design loves the idea of a place card that also doubles as a sweet treat. “Provide each attendee with a personalized cookie featuring their name,” she tells HG. Another option is a personalized Tiny Prints card. 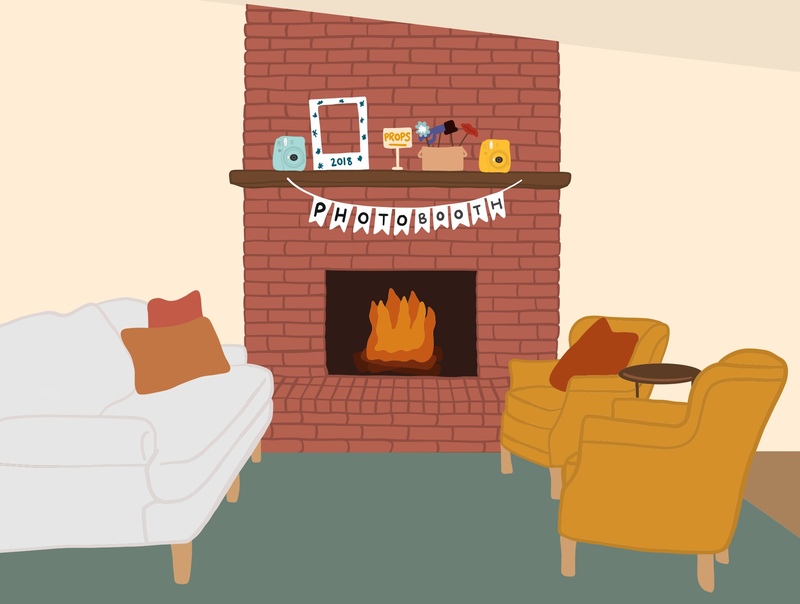 Guests are sure to feel all warm and cozy when they see that you took the time to add their favorite childhood photo or a snap of you two together to a card they can hold onto long after the party is over. Every great party needs some music, and Jessica Samson of The Maids, who has seen and cleaned many gatherings, suggests keeping volume and tune selection in mind. “You want the volume low enough that your guests don’t need to raise their voices, yet loud enough to be enjoyed during lulls in the conversation,” she says. Also, create a playlist that spans several hours so you can set it and forget it. Extra points if you ask guests in advance what song, album, or artist reminds them of the holidays and use their feedback as inspiration for the playlist. Most of us use our cameras to snap pics, but there’s nothing that brings back a sense of nostalgia more than a Polaroid or instant camera. 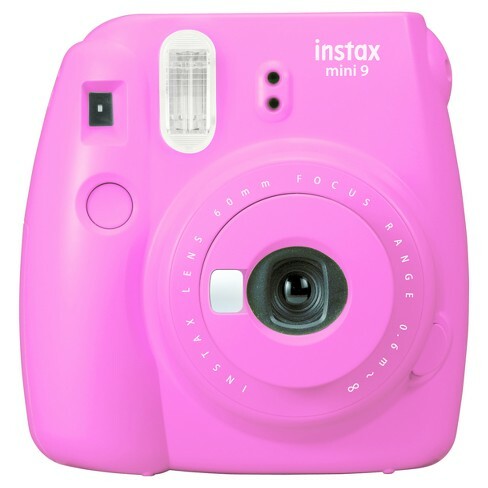 Purchase one, like this colorful Fujifilm Instax mini, and get to snapping. “Create a makeshift photo booth station right in your living room,” suggests Kiran Pinto of Lettuce Parties & Special Events. “Grab some fun holiday props—hats, tinsel, oversized candy canes” and use them to create a backdrop in a corner of your home. While you’ll probably be making a visit to the market to for ingredients, HelloFresh food stylist Nadine Page says food can also serve another function: decoration. She says, “Farmers’ markets are selling apples in every color of the rainbow. A long wooden platter would be a lovely way to showcase an array of local varieties. Punctuate the big, bright, round shapes with some varieties of roasted nuts and an ornate nutcracker.” How easy is that? A nice floral arrangement is beautiful, but it can cost a pretty penny. If your budget allows for flowers but you don’t want to go way over, Joan Wyndrum of Blooms by the Box says you have options. “Consider using football mums, which are big and fluffy, making it easier to create an impact with only a few stems.” Also, don’t overlook your local grocery store, which may have cheap, chic floral options. If you want to entertain your guests and give them something tactile to do at your party, consider a food station, says event planner Emily Sullivan. She likes the idea of cookie decorating or a champagne “bubbles bar,” where guests can add fun mix-ins to their drinks, like pomegranate seeds or even cotton candy. “You can even have a contest for the best-decorated cookie or the favorite cocktail concoction,” she says. Offering items like sprinkles, colorful icing, and candy to top cookies is sure to get your guests interacting. It’s a great icebreaker for those who haven’t met before. Instead of bombarding guests with the scents of yummy food and a variety of candles burning, add a little aromatic variety in other rooms. Says Samson, “An essential oil diffuser or candle in the bathroom with a subtle scent adds a nice touch without creating a battlefield of competing scents.” Set the diffuser or candle out about 30 minutes before guests arrive. 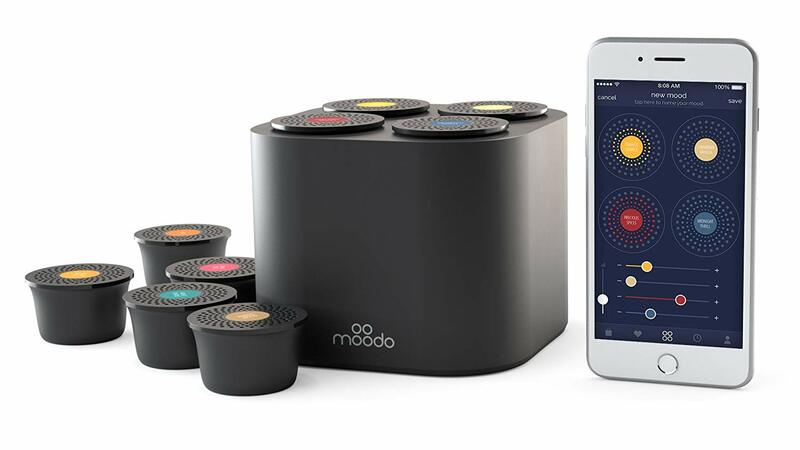 A diffuser like Moodo lets you customize scents, and you can even control it via your phone.